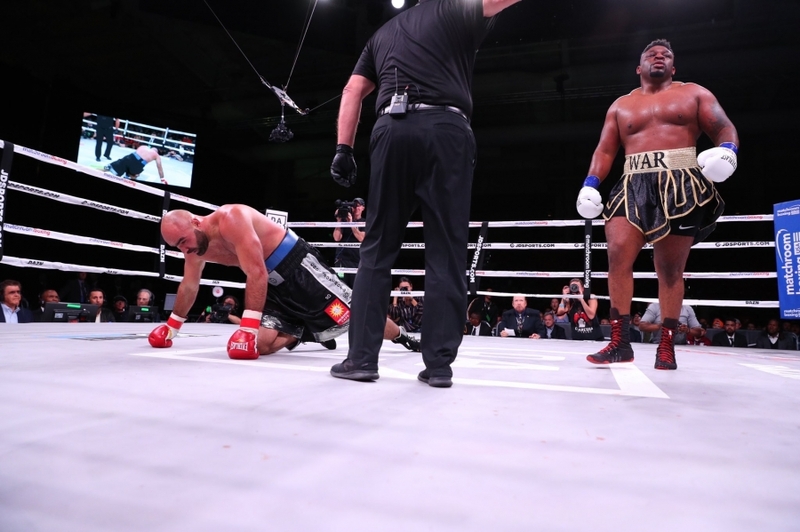 On Saturday, November 17, 2018, Jarrell “Big Baby” Miller (23-0-1, 20 KOs) stopped the previously unbeaten Bogdan Dinu (18-1, 14 KOs) in four rounds. The fight was the main event of a Matchroom Boxing USA card which streamed live on DAZN. DAZN’s fight card also featured a stoppage victory by Brandon Rios, and wins by IBF, WBA, and WBC Female Middleweight Titlist Claressa Shields and rising prospect Nico Hernandez. Check our what else Miller has to say after his victory.